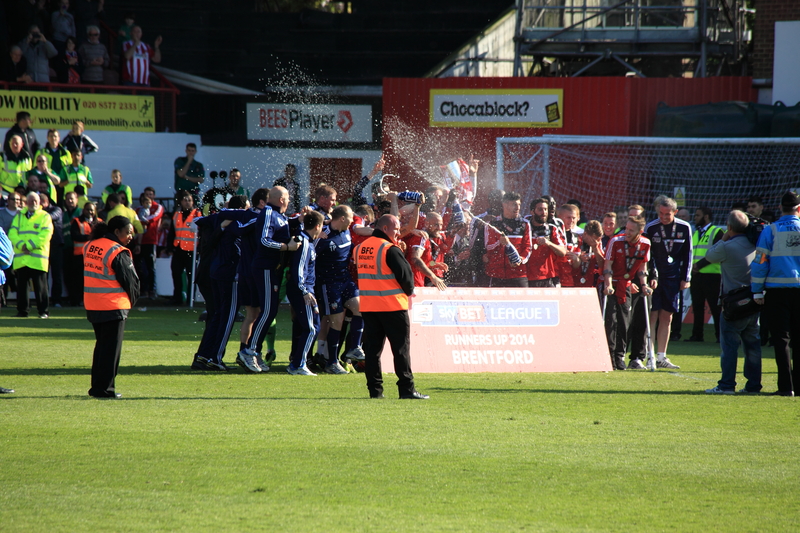 Brentford 2 Stevenage 0. 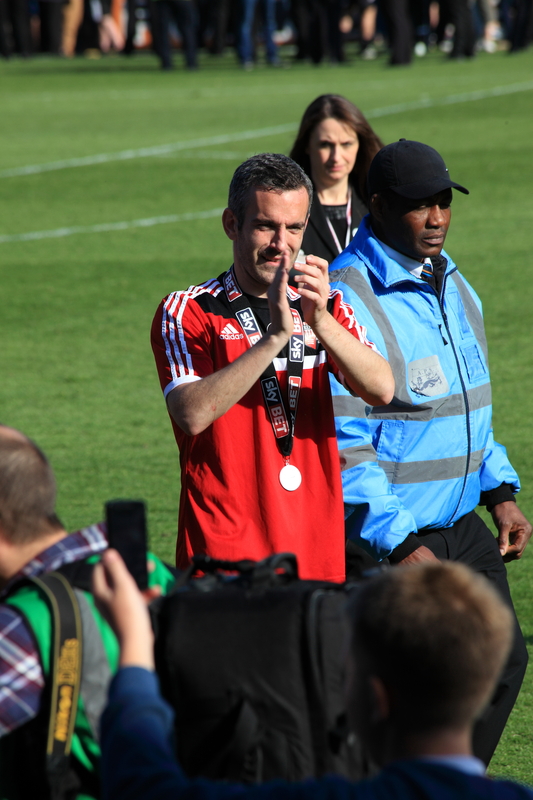 Farewell to League 1 and Hello Fulham. 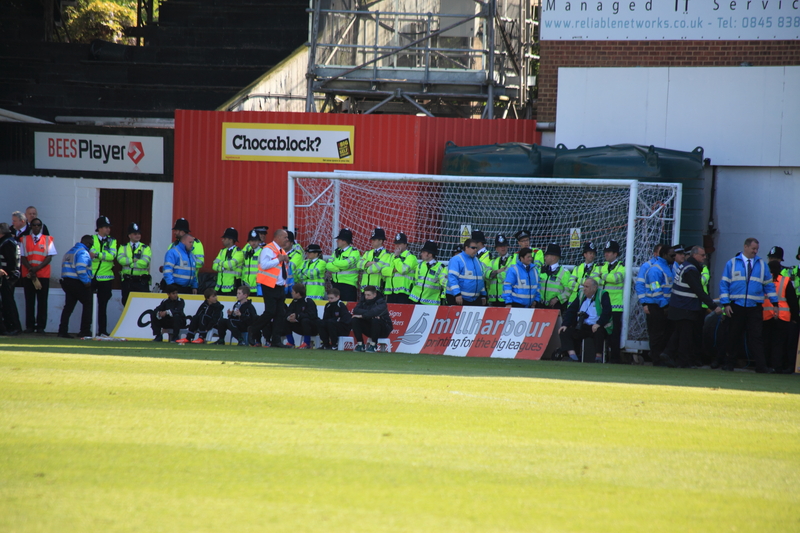 Too late to write much. 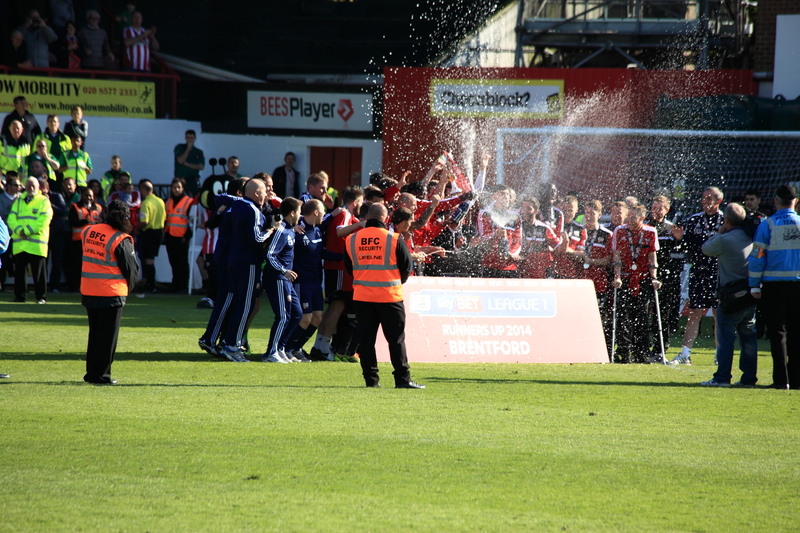 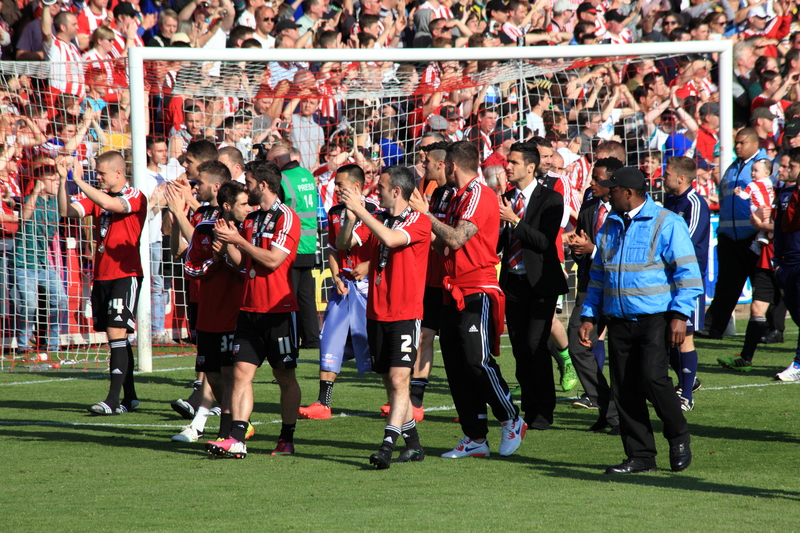 But a real celebration today of all that is good about Brentford football club. 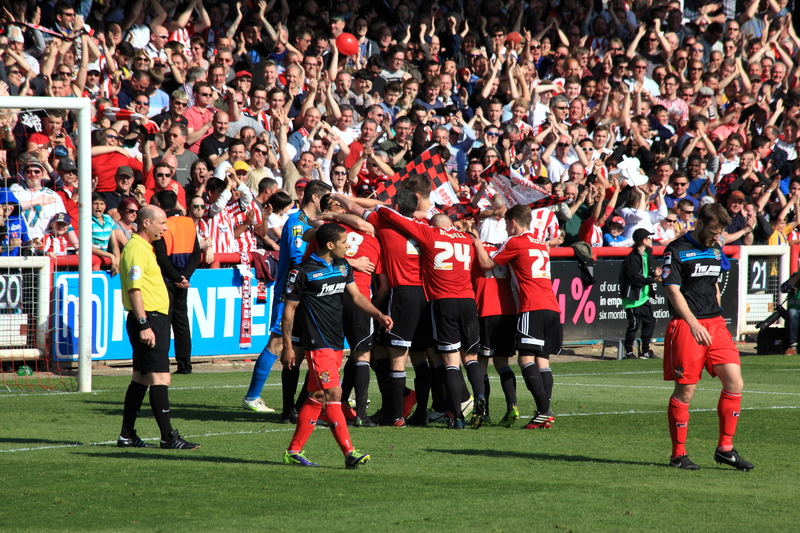 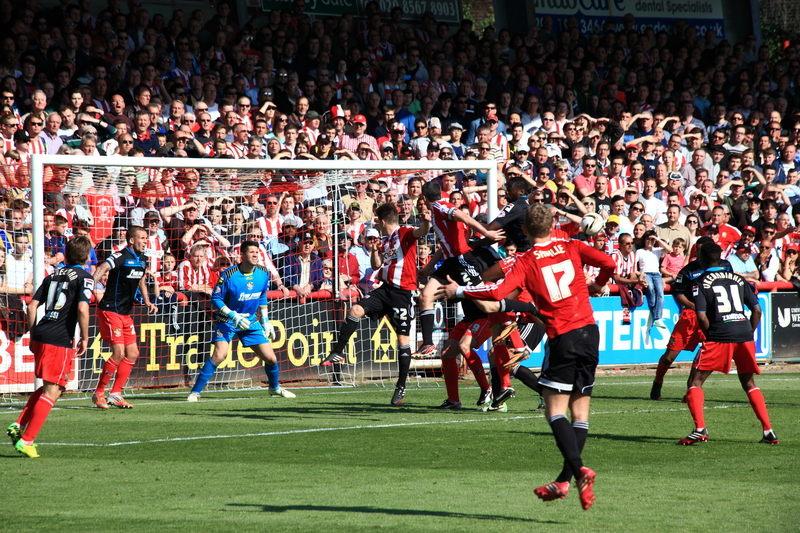 In truth a meaningless game but one which meant everything to Bees fans. 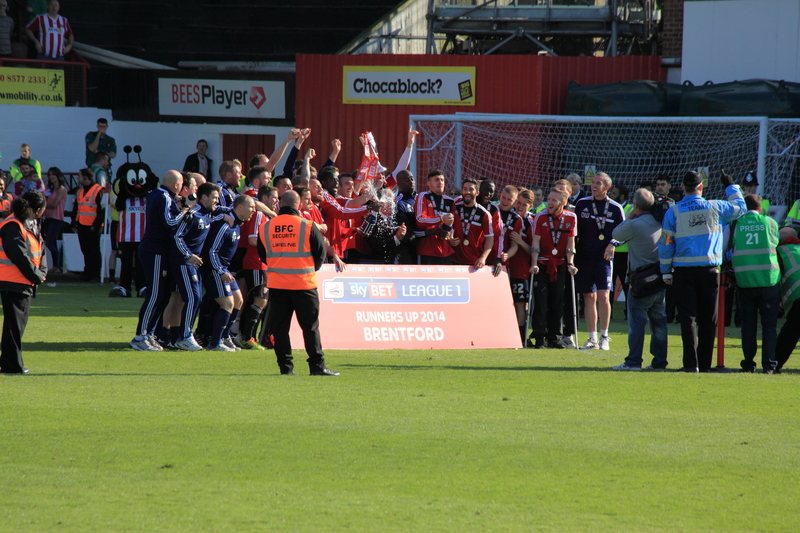 Farewell to League 1. 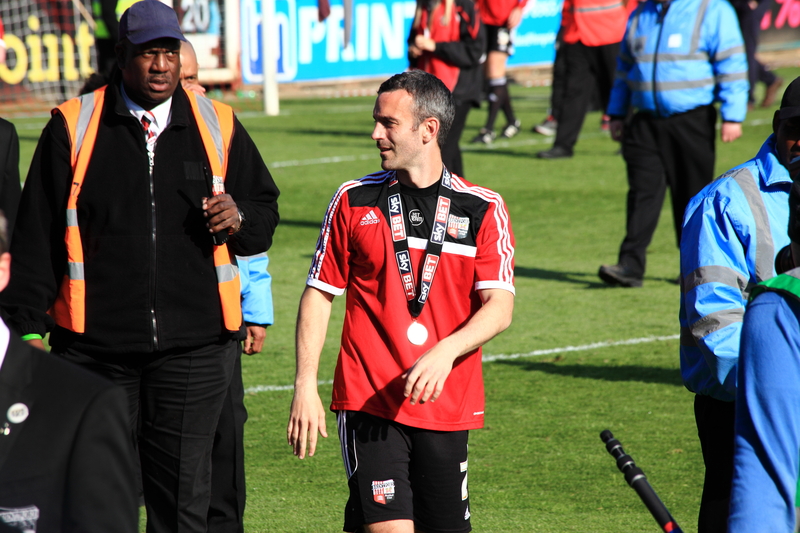 Having watched Brentford for 51 years this season has meant a lot to me and surpasses any of the previous achievements. 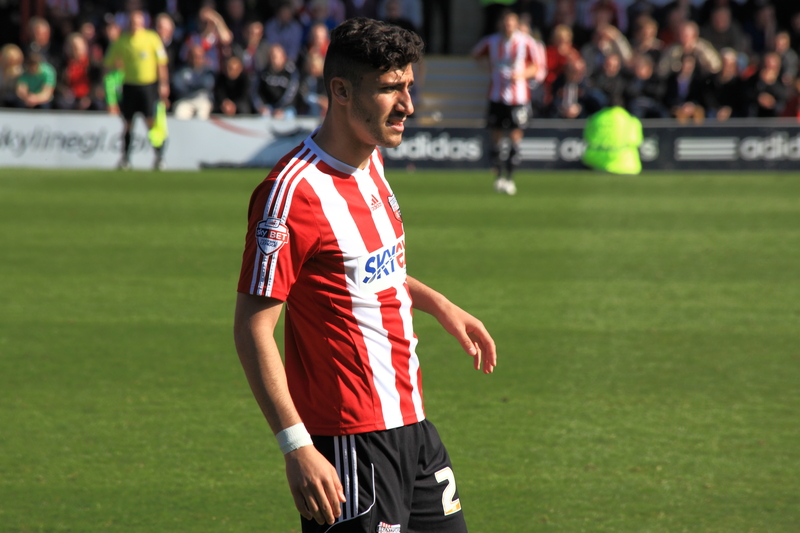 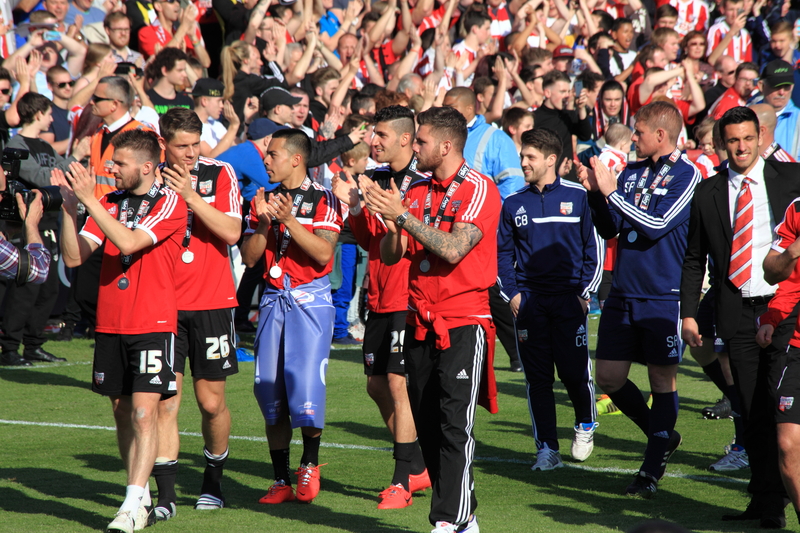 Brentford have gained promotion and equalled a club record since 1930 of 28 wins in a season. 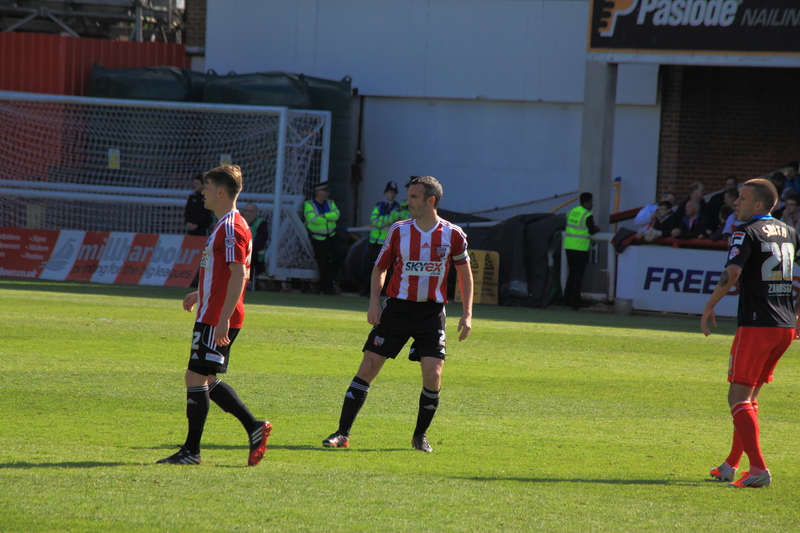 This is not the time to reflect on the season, that will come, but today we saw a decent game with a decent result 2-0 to Brentford. 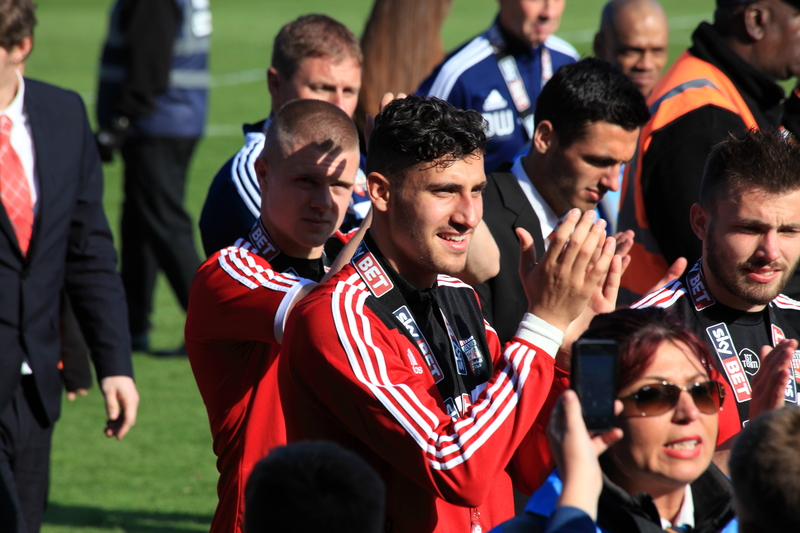 We saw good celebrations and we hope that we did not witness any farewells to Marcello Trotta, George Saville nor Alan judge. 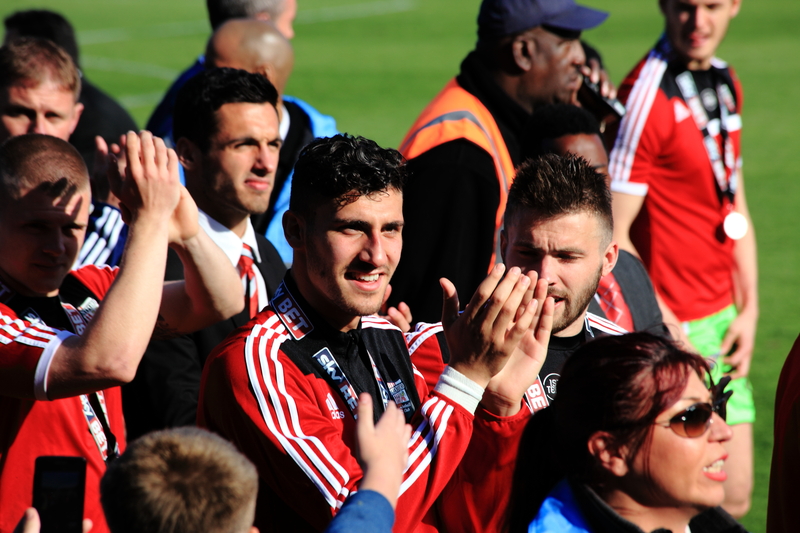 We long ago forgot they were on loan. 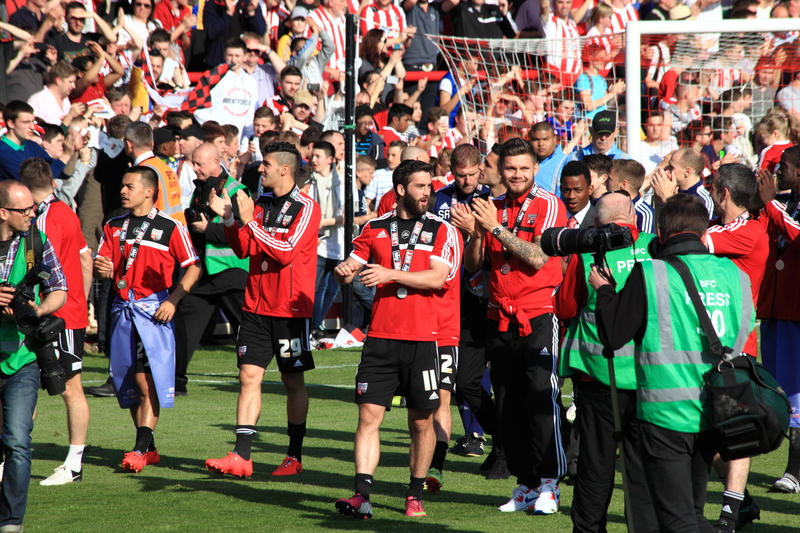 Just enjoy a few photos to remind us of a great day.